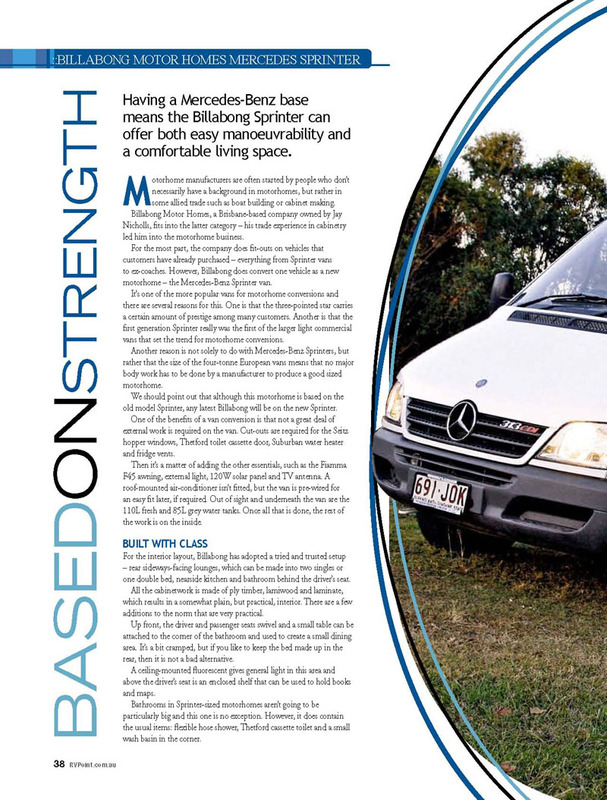 The Billabong Mercedes Benz Sprinter is all style, however, the layout can be built to your specifications. 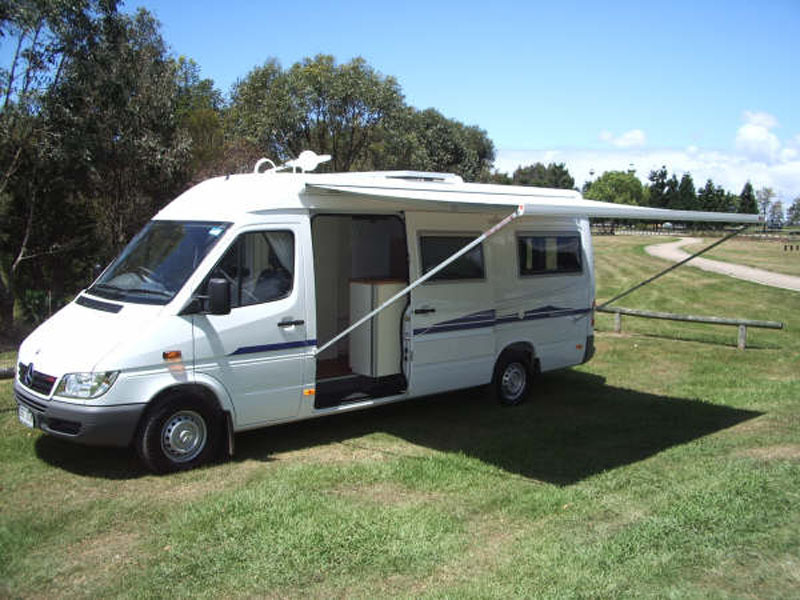 Billabong adopted a tried and trusted set-up – rear sideways-facing lounges, which can be made into two single beds or one very large double bed or can be left as a permanently made up bed, with kitchen on the nearside and bathroom behind the driver’s seat. All the cabinetwork is made of plywood with doors and panels finished in a laminate with 2 mm PVC hardwearing edges, which result in a stylish, practical interior. 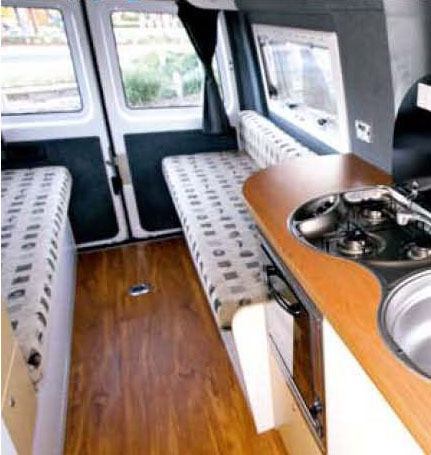 The Mercedes Benz Sprinter comes fully equipped with Fiama wind out awning, Dometic windows with screens and blinds, fully insulated, a removable dinette table, overhead cupboards, wardrobe, overhead lockers plus many more features. 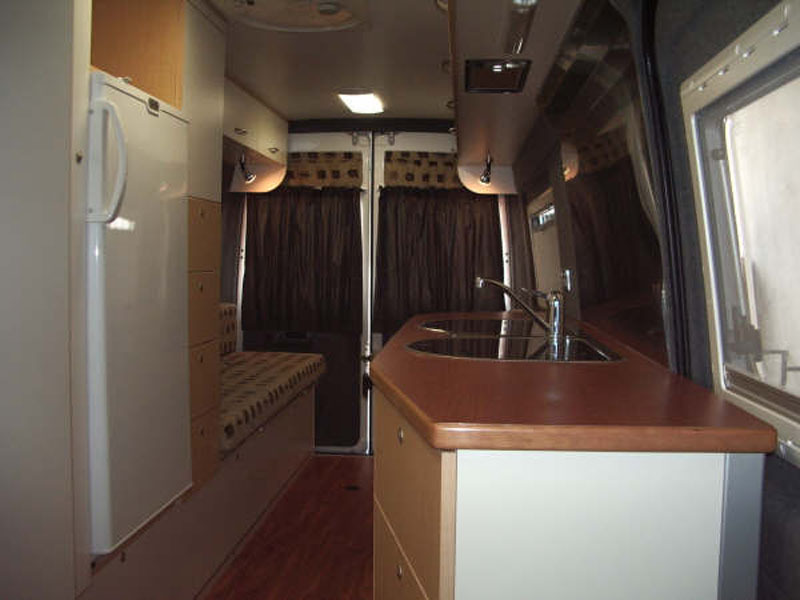 Appliances include a 160-ltr Waeco fridge, SMEV Hot Plate/Sink, SMEV Oven and Rangehood, a swivel toilet and shave cabinet. 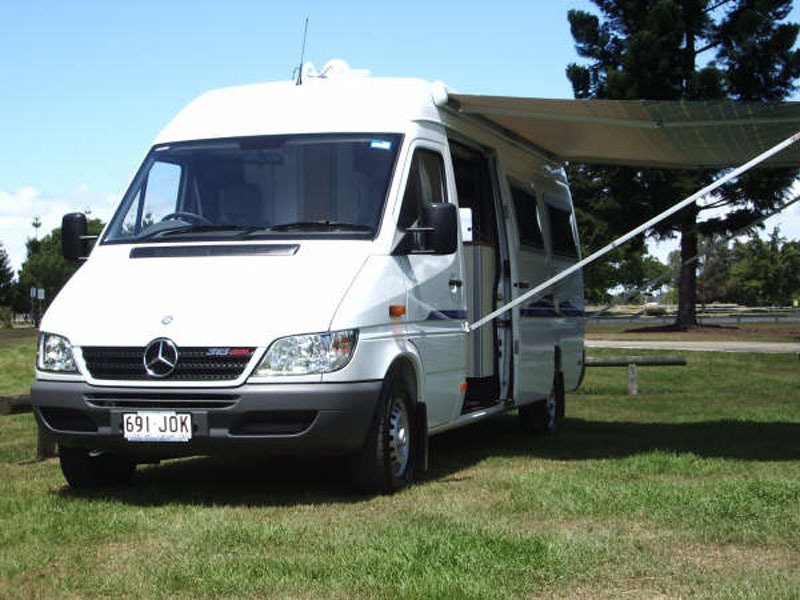 Other standard features include made to measure curtains, fully upholstered walls, solar panel and a sealed deep cycle battery plus wind up TV antennae – just to name a few. 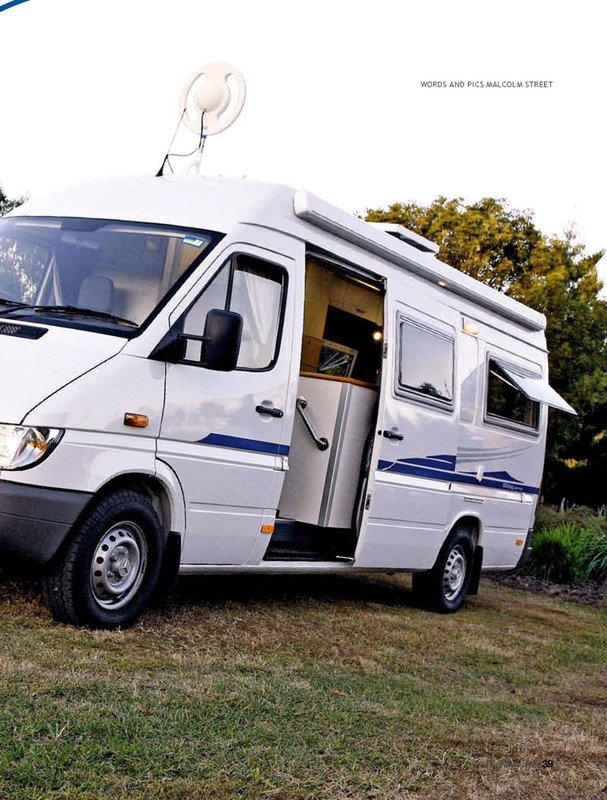 The Sprinter is easy to drive and manoeuvre and is a comfortable size for living in, either for short or extended trips.